Sixers on a win streak! Is anyone else bothered by the fact that the Classical station plays individual movements of multi-movement works, like just the finale of a symphony? I would much rather listen to a whole piece than have it just start or stop in the middle (or both! ), when the piece is actually several movements long. Cliff Lee possibly a Phillie again !? 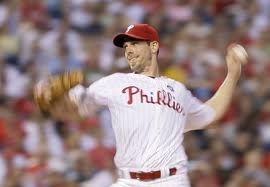 Cliff Lee may be making his way back to the pinstripes of the red and white, and not those from the Bronx. The Phils are in strong contention to land Cliff over the Yankees. Can you imagine that rotation? Halladay, Hamels, Oswalt, Lee ! A decision could be made on Tuesday. 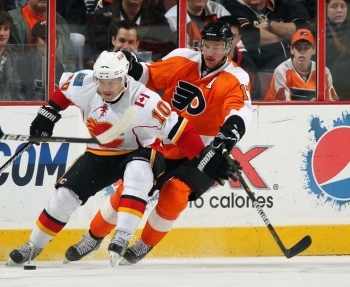 The front office made the decision (I say needlessly) to trade him for prospects last year, hopefully they can lure him back to Philly for next year. 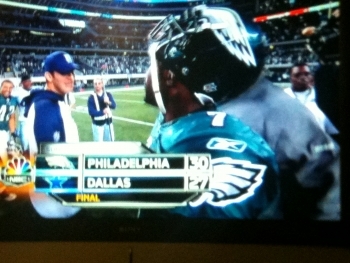 Nice Eagles win in Big D! Werth?! Come on now, the Nats?